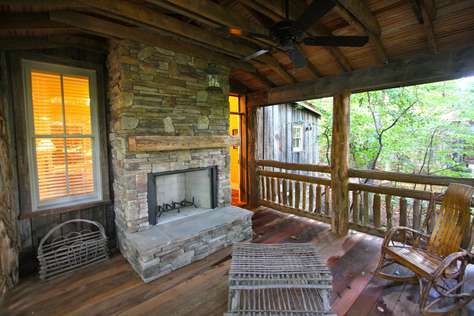 Cozy cabin in Candler, NC only 8 miles from downtown Asheville. 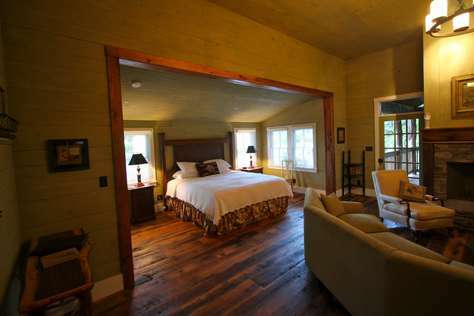 Surrounded by mountain and pasture views, with 6 beautiful horses seasonally grazing close to the outdoor porch. 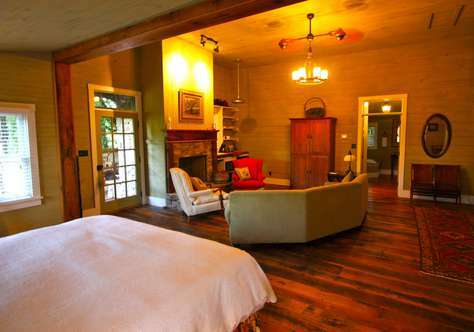 Rustic yet elegantly furnished its perfect for a couple or small family. 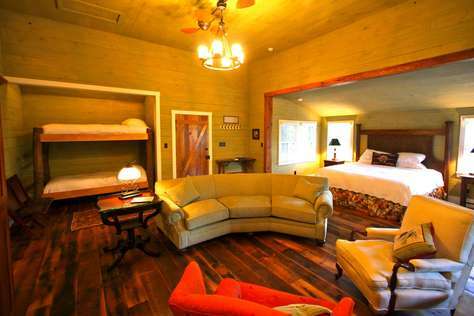 The Hickory Cabin has a king size bed and a bunk bed each with luxury linens. 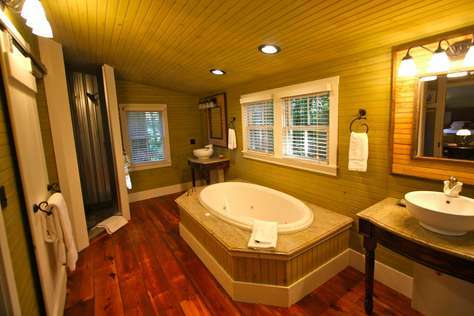 The full sized bathroom has two sinks, a dual head shower and a jacuzzi tub. 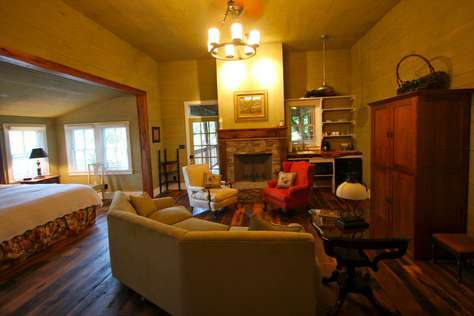 The living room is spacious with a stone fireplace to cozy up next to in the winter months. The back porch also has a fireplace. 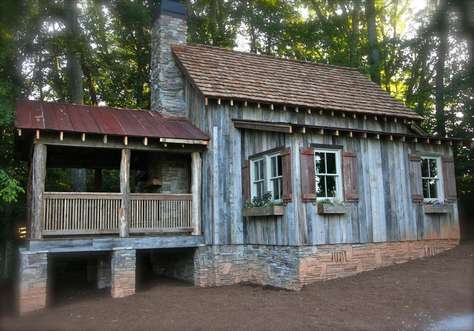 The cabin is equipped with a morning kitchen including a toaster, coffeemaker and small fridge. 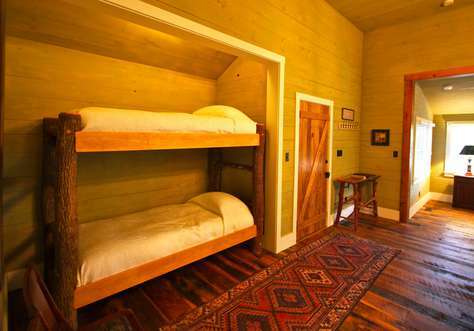 This property has 1 King(s), 1 Bunk(s). Cancellation Policy for Cabins, Cottages and Apartment please view pages 1 and 2 of our rental agreement. Cancellation Policy for Eagle Crest Lodge please view pages 3 and 4 of our rental agreement. A payment equal to 50% of the Total Cabin/Cottage Rental to hold the date.